After months of anticipation, World Routes is now only days away. To help make sure you are prepared for the event, we have created some tips to help maximise your experience. You will have to download a new version of the app for this year’s event, unless you have attended either Routes Europe 2018 or Routes Africa 2018. Click here to download the app or search for “Routes Events App” in your chosen app store. We strongly advise you to download the app before traveling to Guangzhou. Be one step ahead of the 'Great Firewall of China' by downloading any presentations and promotional videos before travelling to Guangzhou. Arrival transfers will be available from Guangzhou Baiyun International Airport to official hotels from 7am on Thursday, 13 September until 12pm on Sunday, 16 September. View the full transfer schedule. Badge collection will be open from Saturday, 15 September 12pm - 3pm in the China Import and Export Fair and at the Shangri-La Hotel. Additionally, you can to collect your badge upon arrival at the Saturday Reception, which will take place at the Shangri-La Hotel from 5pm - 7pm. Registration will be open at thee China Import and Export Fair from 8:30am on Sunday. In China it is custom to carry your passport with you as proof of ID. 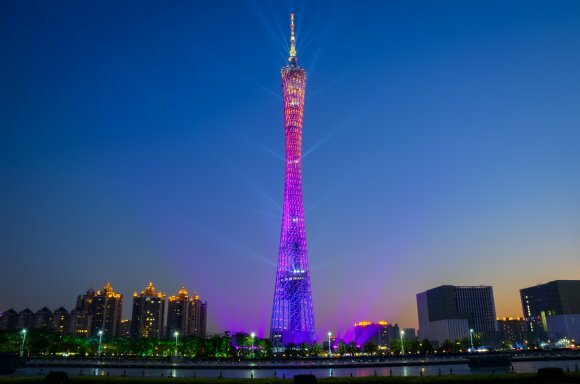 We strongly advise you to carry your passport with you at all times throughout your stay in Guangzhou. Your PRC is used as the password for your final diary and the On-site Meeting System. You will be able to access the On-site Meeting System and accept additional meeting requests from 12pm on Saturday, 15 September. You can collect a printed version of you meeting diary from Diary Advice from 9am on Sunday, 16 September. On the Saturday, 15 September there will be a nationwide air defence drill in China. This drill will consist of three alarms sounding between 11:00-11:20am. Please do not be alarmed, if you would like more information on this drill please contact a member of our team. From traditional food and drink to entertainment and prize draws, exhibitors will be putting on a host of activities at this year’s event. Find out more about what they have to offer here. To keep up to date on all Visit Me activities at the event please check the Visit Me section in the app. The Routes team have put together some of their top tips and look forward to Guangzhou for the 24th World Route Development Forum.